A vacation in Italy can be as luxuriously tailored as the country’s haute couture. One can stay in suites only hotels and shop the best of fashion in the world simply while taking a stroll down a street. Lounging on the deck of a yacht in the Mediterranean or dining at Michelin star restaurants are some other indulgences on offer, and excitingly there is something adventurous too. The most modern of fashion is created here and by brands that have a legacy of luxury. The boutiques that house the brands have a neoclassic architecture, adding to the history and value attached. Everything here has such finesse that even shopping elevates up the chart of opulence. Milan or Milano is indeed one of the most fashionable cities in the world, and a walk around its shopping complexes adds life to the ideas of fashion the world has about this Italian city. 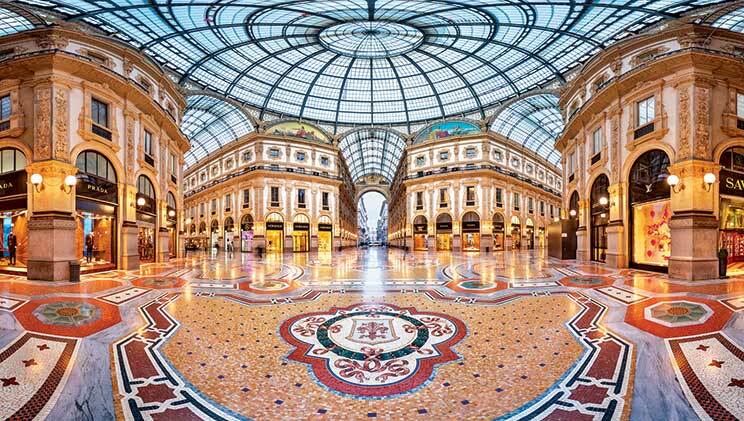 It is the native land of luxury brands like Bottega Veneta, Georgio Armani, Prada, Versace, Dolce & Gabbana, which are housed at Galleria Vittorio Emanuele II, a mall inside an 19th-century arcade, near the Duomo, and can make for the perfect starting point for a luxury holiday in Italy. During the Milan Fashion Week, the pavements are crowded with models, shoppers and fashion admirers who can be seen casually hanging around in the most unique of designs, silhouettes, colours, that also make for some of the most expensive fashion in the world. Globally, a handful, only about 2,000 women can afford to buy haute couture, so for many tourists the runway shopping might be off the charts, but a visit to a flagship store or even a factory outlet can be an option. “Products of luxury brands that are extremely expensive in India can be found at lower prices in many European countries. In Milan, I went to a multi designer outlet that housed various brands like Michael Kors, Prada, and Gucci. Although this particular store was not the most presentable as the clothes were lying around in an unorganised way, I could scrounge some decent deals,” says Aayushi Grover, a fashion professional from New Delhi, who recently visited Italy. For the ones unsure of what to buy and where, fashion tours can be availed of by hiring experts from such companies that take tourists into Milan’s treasured ateliers and showrooms. Personal shopping, fashion tours, and even workshops are offered by the likes of Milano Fashion Tour; and while Milan can take care of the fashion bit of one’s luxury holiday, food and wine can spice up the journey ahead. “Diavolla pizza at a restaurant called Rossopomodoro became a companion during my stay in Naples. It is by far the best pizza I’ve ever had,” Grover fondly recalls. “I also had the best hot chocolate in Naples,” she adds. Neapolitan cuisine or cuisine from Naples has legacies of its own that it has passed down to the rest of the world. It is here that the pizza margherita was invented. Pizzeria Brandi, an age-old pizza outlet that still runs in the city, invented the pizza following Queen Margherita’s visit to the city in 1889. The restaurant is still running and is quite a buzz. “I had a feast in Naples. It is in this city that I first tried pepperoni pizza and absolutely loved it. I also haven’t eaten better pepperoni anywhere else,” says Grover. Naples is also known to have reasonable pricing for its food whereas “even local restaurants in Milan were expensive,” she adds. Food enthusiasts with fatter wallets must also go to the Michelin-star restaurants. In Rome, there are about 14 Michelin-starred restaurants, some of which like the Inn at the Roman Forum, also has ancient ruins inside the hotel! From Naples, Grover heads to the Amalfi Coast, one of the most luxurious destinations in Italy. Although the road from Naples to Amalfi is tricky, she says, being at the destination is worth encountering the odds. “One of the most luxurious things one can do in Italy is to hire a yacht on the Amalfi coast and spend a day under the sun while sipping champagne. I had this experience a couple of years ago and if there has to be one luxurious thing I’d go to Italy again for, this is it,” says Abhilash K Ramesh, director at Kairali Ayurveda Group in Kerala. “I lounged at Positano during my college days in Italy and it was an experience like no other,” he adds. A town that appears to be a stage set, Positano has long been a favourite with tourists. Its cluster of colourful houses on a hill slope by the bay have been the backdrop of many holiday pictures and even motion cinema. Although it is one destination that is prone to mass tourism during the holiday season, going here out of season can reveal an authentic Italy. “Amalfi is a picturesque place. Ravello, another town to visit here for luxurious experiences,” says Grover. Ravello is said to be only second to Positano in style and glamour. Many high-end diners decorate its main piazza or square. Its luxurious style is also reflected in the lush villas, many of which have been turned into palatial hotels. “Italy has some distinctively luxurious hotels. 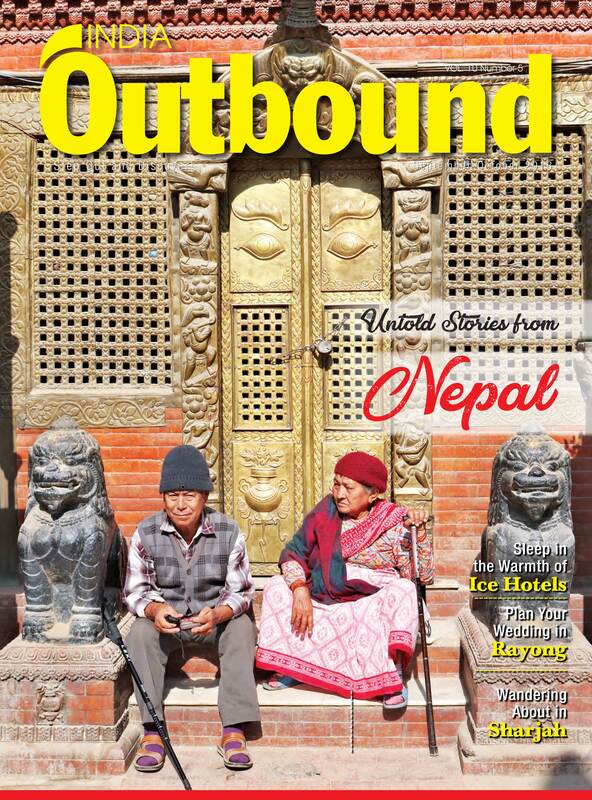 There are also spa resorts that offer unique experiences,” says Ramesh. When in Ravello, one can also experience some of Italy’s finest musical festivals. For an elaborate and rather traditional music experience, which is also luxurious in demeanour, one can also experience opera in Italy. “Florence is a good option,” suggests Ramesh. Florence is also famous amongst luxury travellers for its 5-star hotels like the centrally-located Palazzo Magnani Feroni, which only has suites. Another town on the coast, Portofin, which used to be a fishing village, has been transformed into an up-market resort destination. It is, in fact, very popular amongst celebrities and has seen Beyoncé, Jay Z, and Steven Spielberg pay it a visit. The celebrities favour the Belmond Hotel Splendido for their stay. Having spent his college years in Italy and then visiting it frequently, Ramesh also suggests trying something adventurous when in the country. “Head to Turin for skiing,” he says adding that the ski resorts here are no less than a luxury feast. Italy is home to a number of giant ski resorts, which, when coupled with the scenery and the terrain, make for unique stays. The Sella Ronda resorts, Rosa Alpina, Piz Boé Alpine Lounge, Kronplatz are some of the popular names. For its world-class offerings, Italy has become one of the best countries for luxury tourism. As per reports, luxury travellers spend an average of USD 20,000 (INR 1.5 million) on their trip here, which is completed with visits to its renowned heritage spots, too.